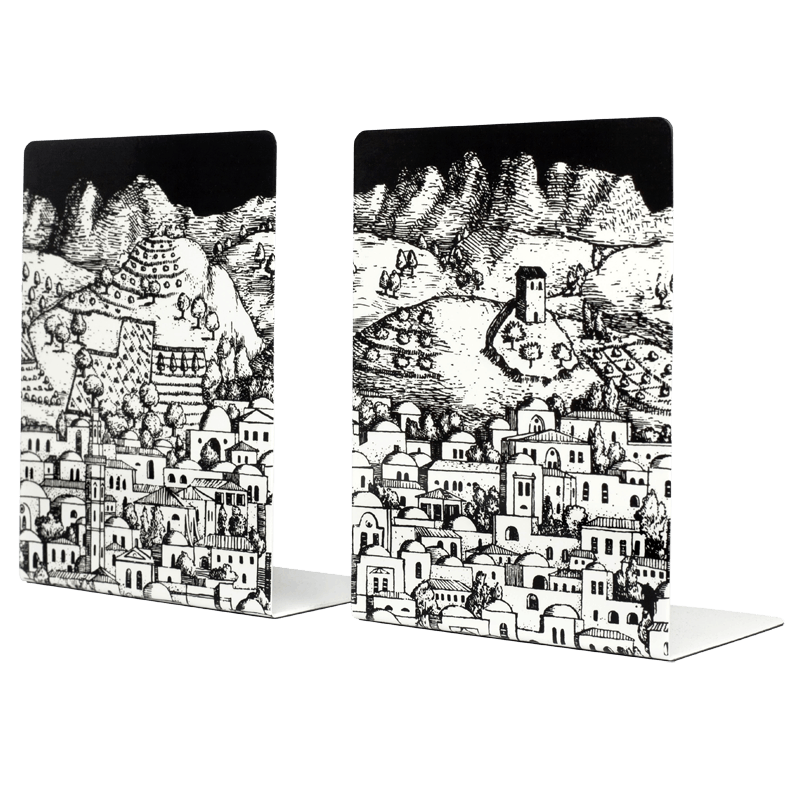 There can be wit and unpredictability in the order: this was Fornasetti idea when he designed his first boxes and bookends. The mix of images with their functional design make these accessories the most gracious enemies of chaos. Details — colour: black and white, width: 15cm, height: 20cm.